You may notice that it looks like a faucet, not intentional! Either way, this is a top down image of the dungeon. 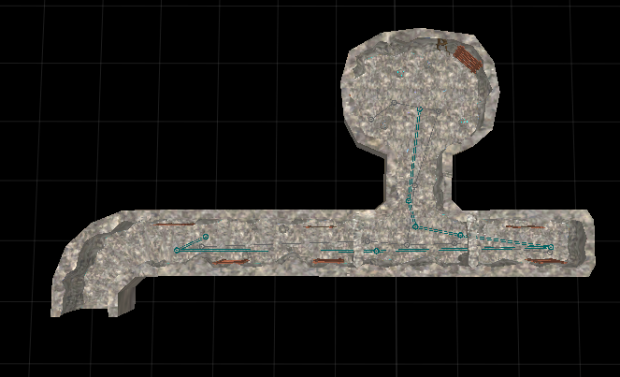 We're building them Ultima Online style, so you enter and teleport to this dungeon (albeit without the player noticing it) which is placed off to the side of the world. This allows our builders to create dungeons without having to do any major game map changes.